Condo Culture | Introducing the Brand New Garment Street Condos. Coming Soon to the Innovation District. Introducing the Brand New Garment Street Condos. Coming Soon to the Innovation District. 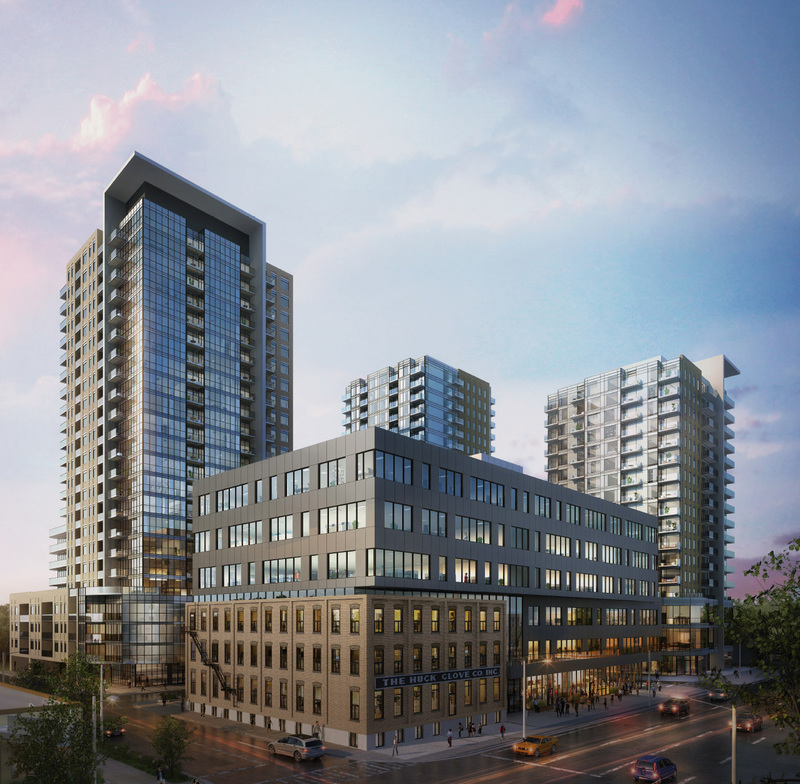 Kitchener-Waterloo is getting a new condo but this time, it’s more about community. For those of you who have not yet heard, the new Garment Street Condos is unlike any development we’ve seen in the Region to date. Sure, the building is packed with amenities and will rival some of the best buildings in town (we’ll get to this later) but what is really setting this building apart from the rest as a place to live and invest is everything around it. Picture stepping out your front door, walking down a cobblestone street, dropping into a cafe, checking out shops or grabbing a quick bite to eat. Walk up the street and be in the middle of the Innovation District next to the likes of Google, Communitech, D2L and many others poised for growth. Take a jog through Victoria Park. Jump on the brand-new LRT and head north or south to connect to the rest of the city or jump on the proposed GoTrain to Toronto line for a swift 48 minute ride to Union Station. It’s all right here and there’s a lot more coming. Take for example the brand new office building being built as part of this development. Formerly the Huck Glove factory, this brick and beam building will be expanded and become home to 120,000 sq.ft. of office space with close to 650 employees. This in combination with other new office projects planned for the area will add nearly 2 million square feet of new office in the area, creating space for over 10,000 jobs and further increasing need for high-quality urban housing in the area. Enter Garment Street. Garment Street Condos is the flagship tower in the urban villages of Garment Street. It will be suited-up with 26-storeys of stylish condominiums suites ranging from studios to one and two-bedroom plus dens, and penthouses that overlook this vibrant city. Garment Street condos will have a concierge service for residents and guests, as well as a café-style co-working space in the lobby. The 5th floor Park Terrace will be equipped with a pool area outfitted with cabanas along with a landscaped terrace complete with a BBQ area. Take advantage of the private basketball court or book the entertainment room (complete with a catering kitchen). You'll find it easy to stay active with a fully outfitted gym area and on-premise dog run. Why live anywhere else? As the exclusive brokers on this project, we’re able to bring you front of the line access to the development and share with you specific pricing, unit selection and incentives. Want to know more? Register for the project and view floor plans for the project here.